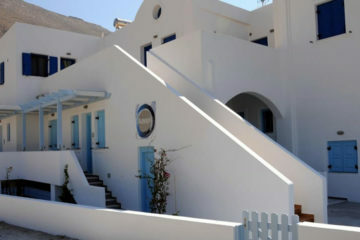 Cycladic style beachfront property located in Kamari. It features studios, apartments, a beach villa, an outdoor pool and an on-site bar. Specify the dates of your visit to Santorini to check availability and prices of Santorini Crystal Blue.